Do not let the frigid air of the changing seasons keep you from patrolling the borders of the woodland. No mortal shall set foot upon this sacred realm. While wearing the Elven Hooded Cloak you will make sure this oath holds true. The roomy hood allows you to shield your features from the unwise human who ventures too close. Embroidered elven symbols trail down the front. The long cloak reaches to about mid-calf. The cotton twill fabric of the hooded cloak protects its wearer from the harsh elements of nature. An inner layer of light cotton provides extra warmth and durability. Tie strings secure the cloak at the neck. My son loves this cloak and wears it all the time. He gets compliments everywhere he goes. Delightful item! Very nice and my order was shipped promptly and received without incident. This cloak is awesome, and every character I create from now on will have a cloak so I can use this one. I love this cloak so much, I wear it every day and its the best thing I've ever owned. thank you for having this in stock. It makes me one very happy Elf. 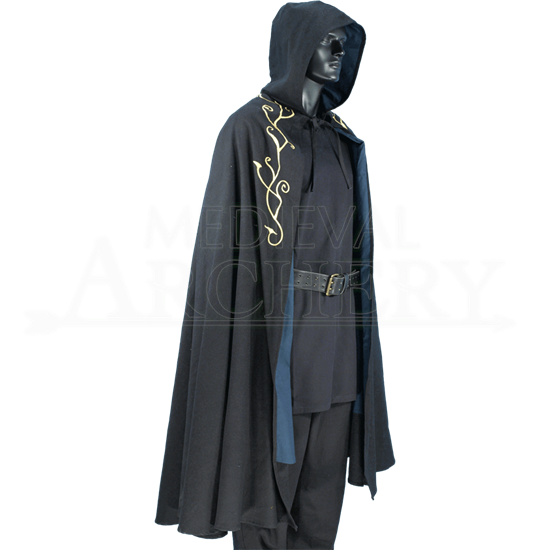 This cloak is very high quality, good thick material with high quality direct embroidery for the elven decoration. The hood is great to, not do deep and is heavy enough material to gave up and not be flimsy or light. When I ordered out, it was out of stock with a 2-3 month wait. It shipped and I received it in less than a month. Awesome job!, and a thanks for the good deal. 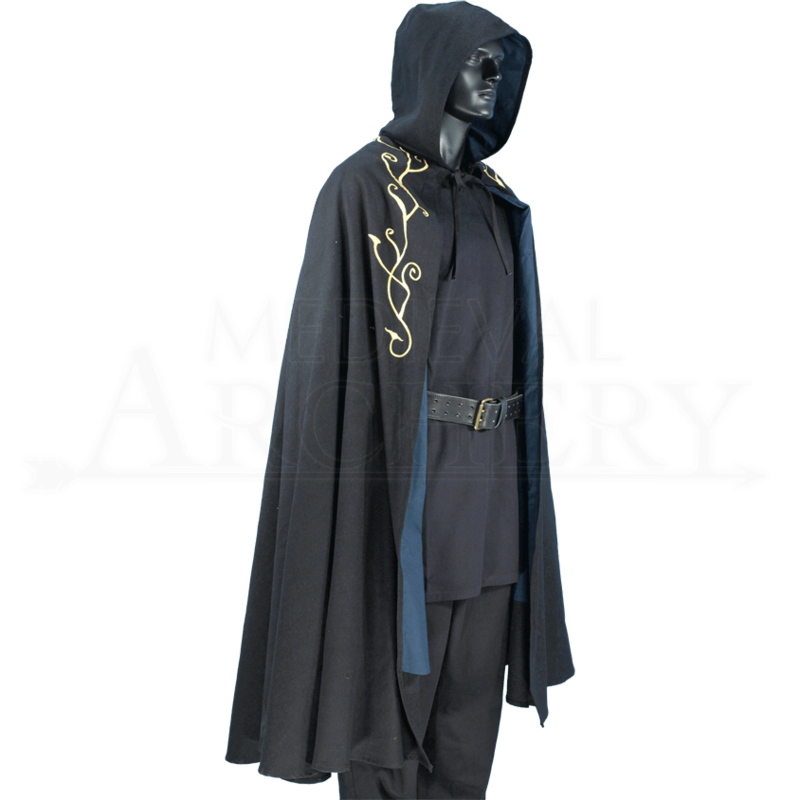 A nice cloak that compliments the Elven Tunic and the fit is perfect.